inscription: "W 184 The Silent Majority, San Francisco WESPAC Visual Communications, Inc. P.O. Box 2866, san Francisco, California 94126" in white at the bottom left corner. Poster has a black printed background with a central black and white image of a graveyeard filled with white tombstones in orderly rows. 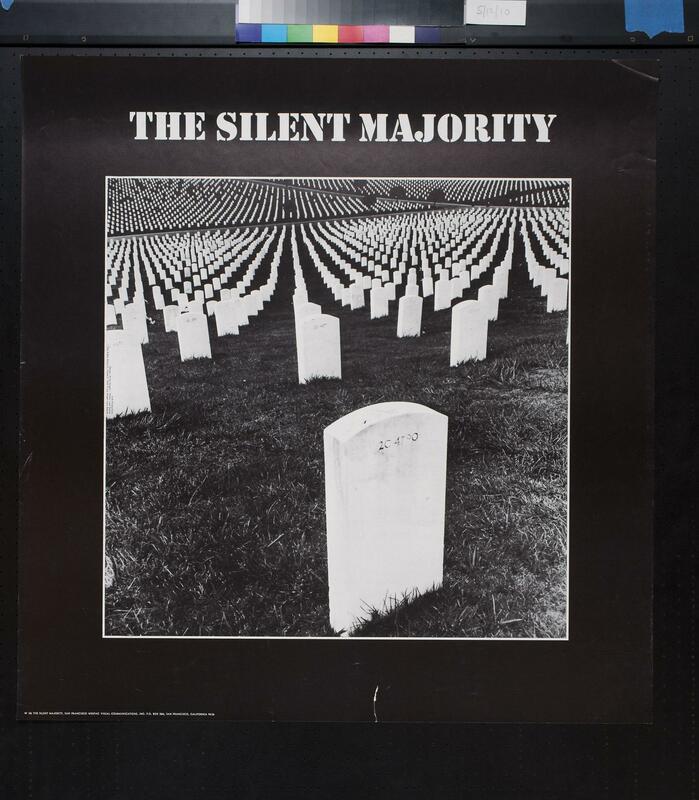 Above the image is "The Silent Majority" in white. Two huge antiwar marches in San Francisco took place on April 6 and November 20, 1969. The speech in which Richard Nixon most publicly used the term “silent majority” was given November 3, 1969, and firsthand accounts of the November 20demonstration recall copies of Angeli’s poster being distributed and displayed.